Graham is an experienced business executive who has lead complex HR teams in multiple sectors (healthcare, energy, transportation & telecommunications). His proven leadership skills are demonstrated by the ability to quickly build trust, find common ground, and motivate others to achieve an organization’s objectives. A clear understanding of business has allowed him to develop practical HR programs and solutions aligned to strategy. Graham has overseen the implementation of new organization designs, through the application of accountability based management principles in multiple organizations. 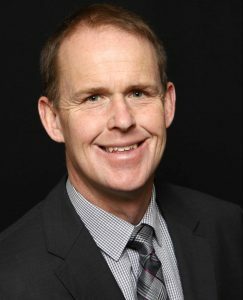 With over 25 years of human resources experience, 15 at the executive level, Graham has worked as a specialist in each of the specific areas of HR such as benefits, compensation, organization design, talent management, health, safety and labour relations. Graham is a Certified Human Resources Executive (CHRE) and holds a BSc (Psychology) from Trent University. And for fun Graham… is an avid runner who has completed 20 marathons including the Boston Marathon on three separate occasions.